This document will provide instructions on how to add an email signature in Outlook on the web, Outlook 2016 for Windows, and Outlook 2016 for MacOS. Click the Gear icon on the top menu bar near the top-right of the screen. In the pane that opens, click Mail underneath 'Your app settings'. This will open a new set of options in the left-hand pane. Click Mail > Layout > Email signature. A new window will appear allowing you to compose and format your desired signature. There are also options for automatically adding your signature to new messages, replies, or forwards. When you're ready, click Save to save your signature. 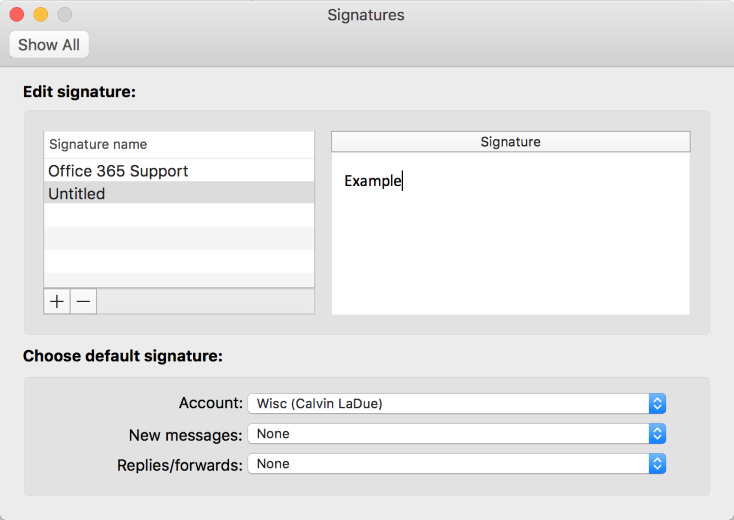 If you decide not to include the signature by default to every message you send, you will have the option to include a signature prior to sending any message. On the top ribbon, click File > Options. In the 'Outlook Options' window that appears, click Mail from the left-hand menu. Under the 'Compose messages' heading, click the Signatures... button. A new window will appear allowing you to compose and format your desired signature. There are also options for automatically adding your signature to new messages, replies, or forwards. When you're ready, click OK to save your signature. 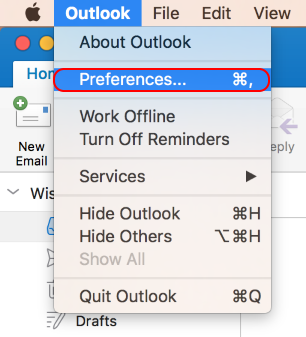 In the 'Outlook Preferences' window that appears, click the Signatures icon. A new window will appear allowing you to compose and format your desired signature. There are also options for automatically adding your signature to new messages, replies, or forwards.